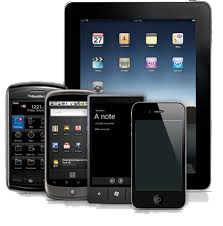 We offer Custom Mobile Software Development Services across Midlands. Channelising your workforce through an app can truly transform your business, improve efficiency and reduce the risk. We Build rich, engaging and interactive cloud based smart mobile web apps which is easily scalable and can broadcast the personalised push notifications to thousands in seconds. Our mobile apps experts design and create mobile applications from the system architecture, through to base functionality and the user interface. Our expertise ranges from creating basic mobile apps for specific operating systems, to cross platform applications that work both smartphone and tablet. The use of mobile telephones, smart phones, iPads and tablets to access the Internet is increasing every day, jumping several fold in recent time. Mobile websites, Mobile applications, Mobile everything! It’s extremely exciting to see the expansion of technology; in it’s most portable form. Clearly the trend will continue to increase quickly, and businesses will need their websites to be functional and user friendly in these mobile platform devices. We offer high quality mobile web design and development services to help you reach your targeted customers easily. Mobile websites will make it easier for customers to access your business information or your products and services offered, much easily on any mobile browser. The key is "TO REACH FURTHER"
A mobile application (or mobile app) is a software application designed to run on smartphones, tablet computers and other mobile devices. They are usually available through application distribution platforms, which are typically operated by the owner of the mobile operating system, such as the Apple App Store, Google Play, Windows Phone Store andBlackBerry App World. Some apps are free, while others must be bought. Usually, they are downloaded from the platform to a target device, such as iPhone, BlackBerry,Android phone or Windows Phone, but sometimes they can be downloaded to laptops or desktops. For apps with a price, generally a percentage, 20-30%, goes to the distribution provider (such as iTunes), and the rest goes to the producer of the app. We were recommended Web Alliance by one of my friend. We have found Web Alliance to be efficient and friendly, they work very closely with you and are ready to answer any questions promptly. They have created a magnificent web enabled system for us and they are now taking care of maintenance which is an ongoing process. We will be upgrading/extend our system very soon, and Web Alliance will take care of this when we are ready.